Motorola's new flagships are metal, modular and mostly exciting. Ever since the original Moto X came out, I've been fascinated by Motorola. We saw one of the biggest, oldest brands in communications take a long, hard look at where it's been and chart a thoughtful path forward. Flash forward a few years (and a few Moto Xs) and wouldn't you know it? Motorola started to lose some of its voltage when it came to its flagship phones. Don't get me wrong, the Moto X Pure Edition was a fantastic device, but in hindsight it's not hard to see that it was more of the same. While we might still see a new Moto X this year, Motorola decided to try something different. We now have two different modular flagship smartphones, the superthin Moto Z Droid ($624) and the sturdier Moto Z Force Droid ($720). 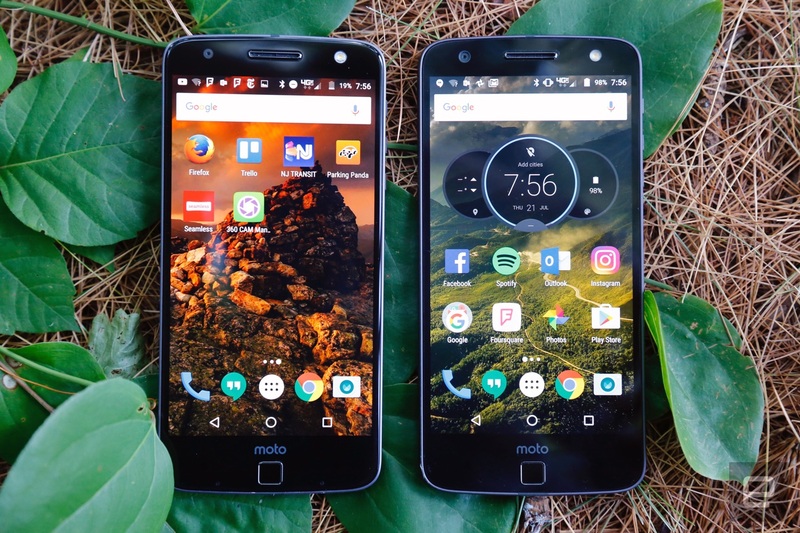 Some might bristle that both are exclusive to Verizon and aren't yet slated for an international launch (I sure did), but there's no two ways about it: These are still the most exciting Motorola phones in a long time. 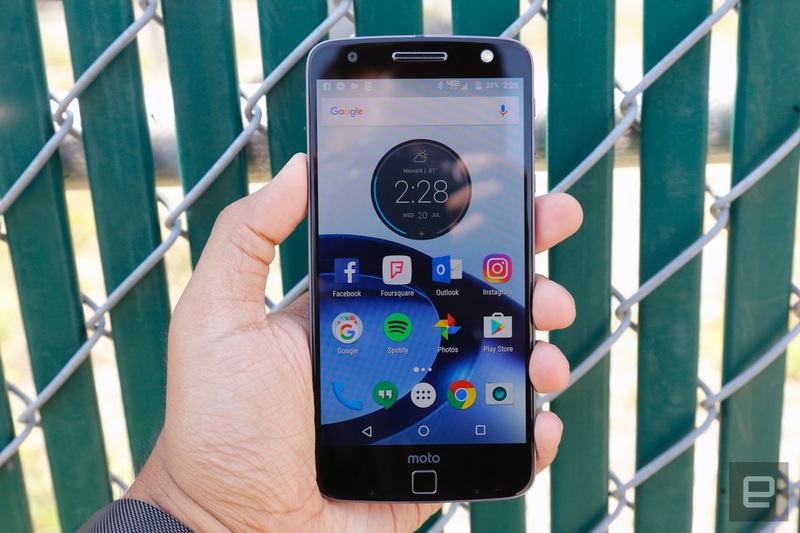 Think of the Moto Z Force as the Moto Z's big brother: It offers the same premium performance as the regular Z, but adds a larger battery, a camera that performs better in most situations, and a screen that resists damage. All of this makes the Z Force a tantalizing option, especially if you don't care about having an extremely skinny phone. Still, some of the Moto Z's most notable drawbacks apply here too: It's still a Verizon-only device and it doesn't have a headphone jack. 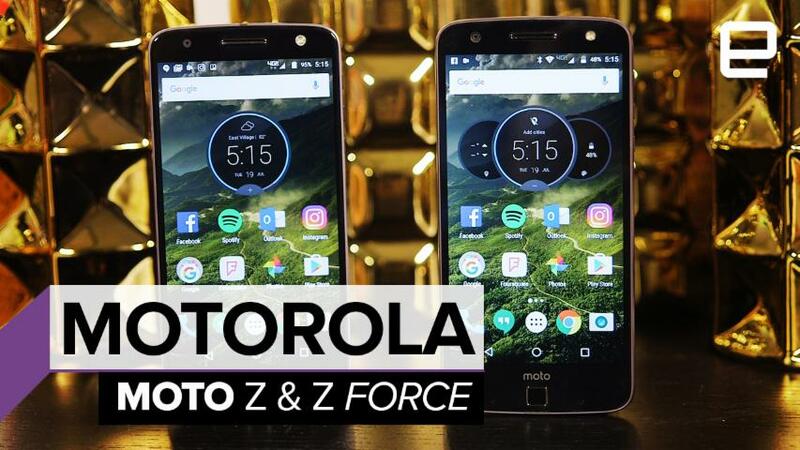 Be the first to review the Moto Z Force? After years of thoughtful refinements to the Moto X line, Motorola has plotted a new direction with the Moto Z. It's incredibly slim, modular, and packs true flagship-level horsepower -- all things you couldn't really say about last year's Moto X Pure edition. Still, the lack of a headphone jack, the modest battery life and the fact that it's a Verizon exclusive mean this version of the Moto Z won't be right for everyone. How would you rate the Moto Z? Note: For the sake of brevity, I'm not going to bother calling these things "Droid Editions" for the rest of the review. At 5.2mm thick, the Moto Z is the thinnest flagship phone I've ever used, and it's just stunning. In fact, when it comes to design, the Moto Z couldn't be any more different from the flagship Moto Xs that came before it -- the friendly curves and sloping back are gone, leaving us with something more angular and elegant. Think of it as the lightweight Lamborghini to the Moto X Pure's friendly VW Beetle. 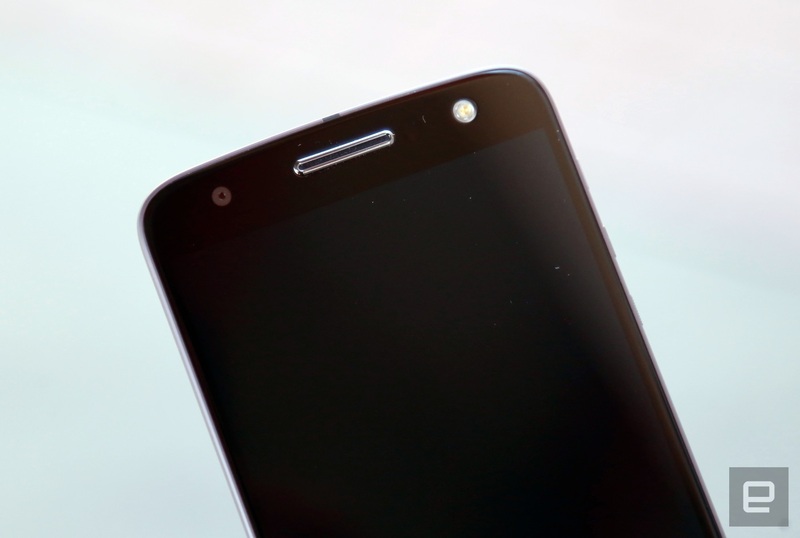 If I'm honest, I was concerned that a phone this thin would feel insubstantial, but Motorola dodged that issue too. Aside from the pane of Gorilla Glass covering its 5.5-inch, quad HD AMOLED display, the Z's body is crafted entirely of metal, lending it a crucial air of rigidity. Fair warning, though: Our review units came in a two-tone black and gray finish that both looks lovely and acts like a fingerprint-and-schmutz magnet. All that said, this phone certainly isn't for everyone. Some people I've shown the phone to (here's looking at you, Devindra) think the Moto Z is too skinny to feel comfortable in-hand. 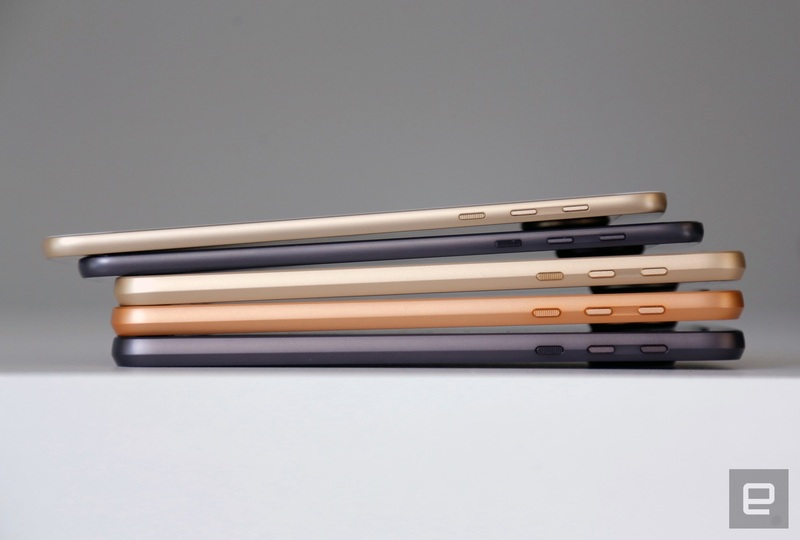 More importantly, you can't build a phone this thin without making a few compromises. Motorola could only squeeze a relatively modest 2,600mAh battery into the Z's body. The 13-megapixel camera juts out from the back in a circular hump. And the most divisive change? The phone's slim frame meant Motorola had to ax the headphone jack. Motorola is convinced it's on the right side of history with this move, but in the short term, you're stuck buying either a pair of USB Type-C headphones or using an adapter that comes in the box. I'll delve more into the audio quality a little later, but right off the bat, the change presents some tricky issues to tangle with. Let's say you're a klutz like me: You're probably going to lose that dongle before long. And if you're listening to music through wired headphones, you can't charge the phone at the same time. Inconvenient at best; counterproductive at worst. 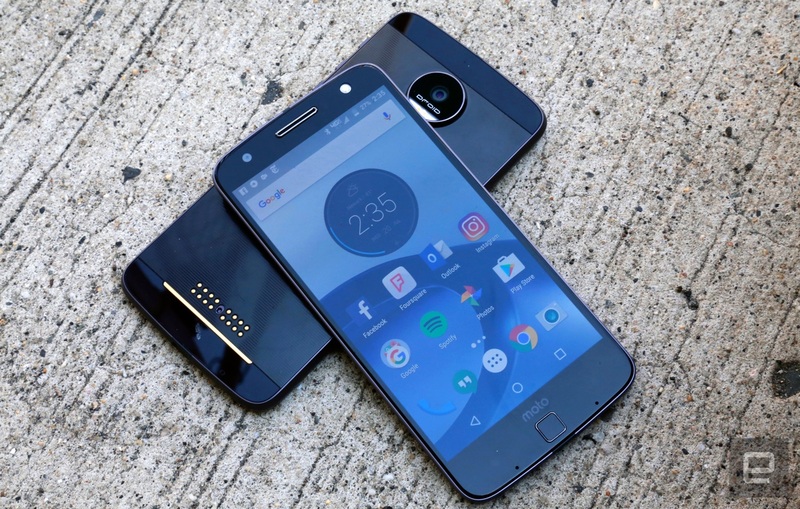 Motorola is so sure of this decision that the Z's cousin, the Moto Z Force, lacks the headphone jack as well, even though its thicker body could definitely have accommodated one. Throughout my week of testing, I've been looking at the Z Force as the Moto Z for everyone else: It has the same new look, paired with a bigger 3,500mAh battery and Motorola's Shattershield design to keep you from cracking your screen. Throw in an improved 21-megapixel rear camera and we have a package that more than makes up for Z Force's heftier dimensions. If owning an incredibly thin smartphone isn't high on your list of priorities, you're probably better off looking at this version of the Z instead. It's just too bad neither of these phones are waterproof: They're nano-coated to resist splashes, but that's it. Despite their differences, the slim Moto Z and the sturdy Z Force share some powerful silicon. Thrumming away inside both devices is a quad-core Snapdragon 820 chip paired with 4GB of RAM and an Adreno 530 GPU -- just like almost every other flagship Android phone released this year. The similarities don't end there, either: Both sport an excellent fingerprint reader beneath the screen, either 32GB or 64GB of internal storage, a microSD card slot for as much as 2TB of extra space, and a 5-megapixel front-facing camera. A trio of tiny volume buttons and a sleep/wake key poke out of both phones' right side, and on the bottom is a solitary USB Type-C socket for power, data transfers and audio. Both devices are showcases for Motorola's impeccable workmanship, but they're made even more interesting by the array of golden contacts on their backs. Those 16 points make up what the company calls its Moto Mod connector, which allows power and data to flow between the phone and optional accessories that magnetically latch to the phones' backs. The first batch includes a tiny projector, battery case and a JBL speaker, and they add a lot to the Moto Z/Z Force formula, so I'll be sure to dig deeper on these in just a moment. For now, just know this: Motorola's approach to modularity is the most elegant you'll find on the market right now. Both Moto Z phones feature 5.5-inch AMOLED displays running at 2,560 x 1,440 resolution, and they're pretty great. In addition to very accommodating viewing angles, you'll get the usual punchy colors that come with AMOLED screens. If they're a little too punchy for your liking, though, you can hop into the device's settings and poke around: The "Vibrant" color mode is enabled by default, but there's also a "Standard" option that attempts to render colors more realistically. I've come to prefer the slightly oversaturated look you'll see by default, but hey, it's nice to have choices. It's also worth noting that these displays don't look identical. My Moto Z's panel seems a little more high-contrast than the Z Force's screen, and I'm willing to bet that's because of the Z Force's Shattershield construction. In case you never owned a Droid Turbo 2, here's the skinny: Above the AMOLED panel itself, there's a redundant touch-sensing layer and two protective lenses, all meant to keep the screen from breaking if the Z Force takes a tumble. I reluctantly treated this thing like a jerk throughout my week of testing, dropping it on concrete for laughs and lobbing it onto my desk from across the room. The damage? A couple nicks on the screen and some scuffs on the phone's aluminum edge. Shattershield is a welcome feature indeed, but it's important to remember that it doesn't make the Moto Z Force invincible. Both phones also have a single speaker above the screen, nestled in the same place as the earpiece. It's a far cry from the stereo setups we've seen in other smartphones, but you know what? The Z/Z Force's speakers consistently churned out crisp (if not terribly loud) audio. It's not a surprise, really: Lots of companies sort of phone it in when it comes to speaker quality, and it's clear Motorola would like you to buy one of JBL's sweet speaker Mods. Now, about that pesky headphone issue. I've used the included USB Type-C dongle with several pairs of cans and in-ears, and it doesn't seem to affect audio quality at all when playing high-quality tunes saved on Spotify. If anything, my biggest gripes were logistical: When I didn't keep the dongle attached to headphones, it got lost in the depths of my backpack. When I did keep it attached, it sometimes made the cord long enough to be cumbersome when jamming everything into my pocket (especially when those headphones had an L-plug). Are these huge issues? No, not really (and if you're a Bluetooth headphone person, basically none of these gripes apply). Still, these sticking points aren't going away for a while, so keep that in mind before you buy. Let's be honest: Motorola isn't exactly known as a leader in photography. That's why the company's work this year is so surprising: We now have two Motorola phones with seriously good cameras. If the normal Moto Z is your thing, you'll get a 13-megapixel main camera with a f/1.8 aperture lens and a laser autofocus module. My expectations were set needlessly low. As it turns out, the Z's camera takes bright, nicely detailed shots with vivid colors almost across the board. It does stumble a bit in low light, where you'll plenty of grain and soft edges, but really, what smartphone doesn't? The Galaxy S7 and S7 Edge are still better all-around performers, but for once, Motorola has done well to close the gap. Meanwhile, the Moto Z Force's camera does a slightly better job of capturing fine detail, which really isn't surprising -- it's a 21-megapixel sensor, after all. What is surprising is how tight the image-quality race can be sometimes. For a while, the Moto Z seemed a little better at rendering accurate colors, but then photos with the Z Force started coming out a little better. Then back. Then forth. You get my drift. 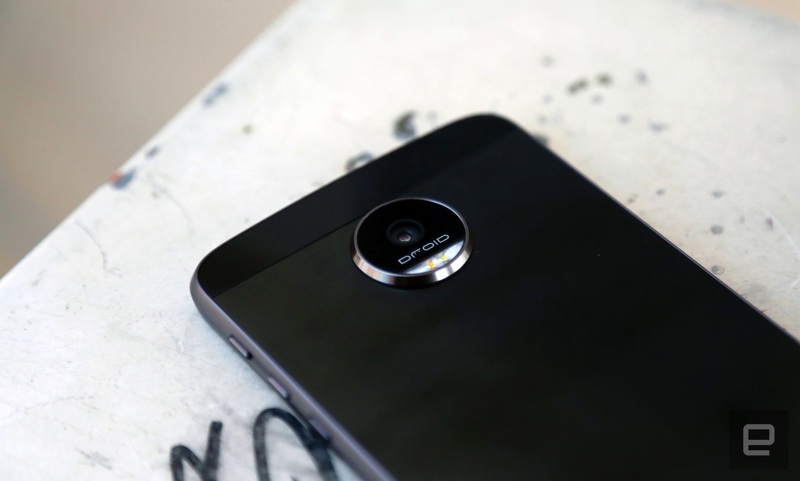 What makes this whole thing even stranger is that the Moto Z Force was occasionally slower to focus on subjects than the Z, despite having phase-detection autofocus in addition to a laser-autofocus module. A quick tap or two is all it takes to set it right, but that's still a little odd. It's the Z Force's low-light performance that clinches the deal here: It's not quite Galaxy S7-level, but it's closer than I dared dream. Despite some curious performance quirks, I'd ultimately go with the Z Force as my shooter of choice -- it's as good a camera as Motorola has ever made, even if the underlying software needs some extra polish. Still, the standard Moto Z is no slouch. Beyond the intricacies of their sensors, the Z and Z Force camera experiences have a lot in common. They share a 5-megapixel, wide-angle camera for selfies that does a generally lovely job of capturing those fleeting moments of vanity. Speaking of vanity, there's also a new Beauty Mode that irons out the wrinkles and blemishes that might mar one's selfies. I wouldn't be at all shocked if this was a feature that parent company Lenovo insisted on; these sorts of cosmetic enhancements have popped up, and continue to pop up, in Lenovo smartphones. It's too bad it doesn't work very well. I snapped selfies at both ends of the Beauty mode spectrum and neither did much for my looks. This year, Motorola also added a Professional Mode that allows for more granular control over your photos. Once enabled, you'll get full control over ISO, white balance, shutter speed and exposure -- change any of those settings and you'll get a live update on your display. Just maybe don't go too crazy with them. I managed to crash the camera app a few times doing that. Of course, the story of the Moto Z and Z Force extend beyond the devices themselves. 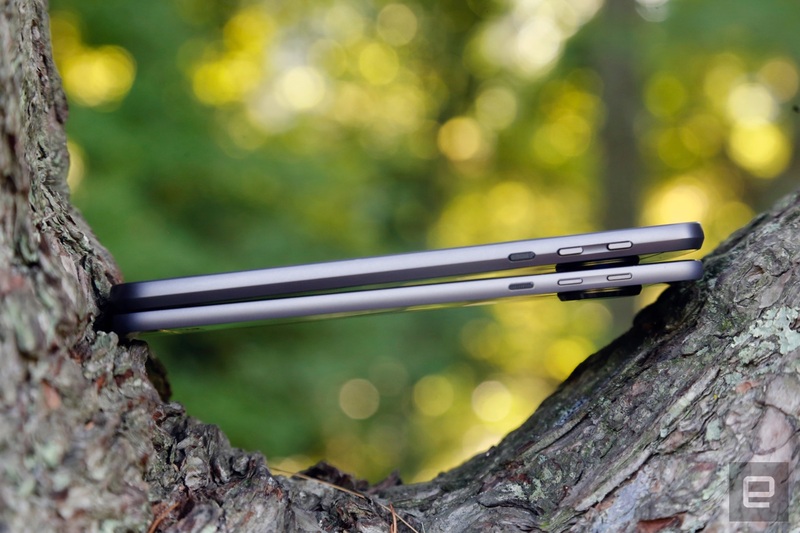 Motorola has a vision centered on accessories that snap onto the phone with magnets. Not only is this less annoying than LG's attempt with the G5 -- it's simpler and cleaner too. Motorola has also said that these first-generation Moto Mods will work with next year's model as well, though the company isn't promising anything beyond that. First up: Motorola's Insta-Share projector. When fully charged, the projector will run for about an hour on its own before using the battery in your phone. Stick it far enough away from a wall and you can get a picture that's about 70 inches diagonal, a pretty big jump from the clunker of a TV I bought on sale years ago. Your environment needs to be superdark, and it can be tough to get the focus right, but once everything came together, I had a bit of a "wow" moment I didn't see coming. There are, however, two potential issues to keep in mind. First, the speakers baked into the projector aren't great, so you'll want an external set if you're really after something resembling a movie-theater experience. Second, it'll set you back $299. If you've got money to burn, then by all means, go for it, but for most, it won't be worth it. Compared with that, the $79 JBL speaker Mod seems way more modest. I probably pissed off a few people in the office by cranking it up all the way, which can be almost unpleasantly loud depending on the kind of music you're listening to. It lasts about 10 hours on a charge, and the speaker burns through that juice before switching to the phone's battery for power. Alas, the audio doesn't sound as meaty as I imagined; it seems to do better with podcasts and songs with lots of action in the mid and high range. Here's my issue, though: You could get a portable Bluetooth speaker that sounds better (and works with any smartphone) for around the same price. Either way, you'd have to carry around a second piece of hardware. On the plus side, though, it has a kickstand to prop up the phone -- a helpful touch when you're watching videos. Really, though, the best Moto Mod is a battery back that basically doubles the Moto Z's battery life while still managing to feel like a natural extension of the phone. If you buy a Moto Z, this needs to go with it. 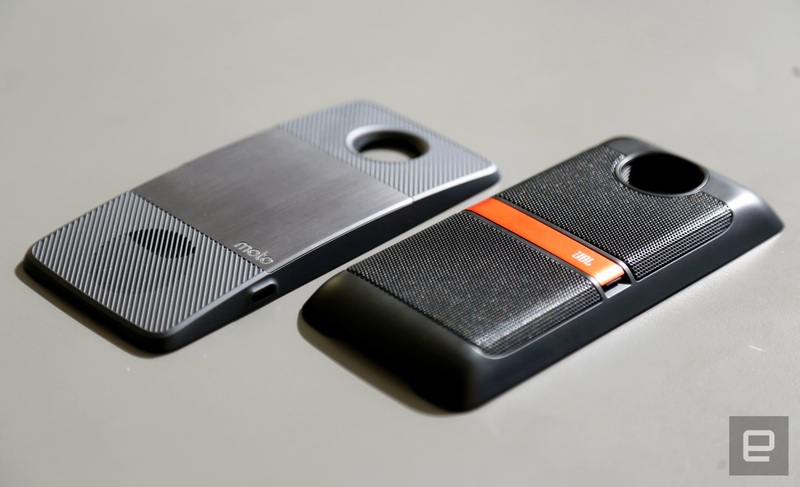 By building the Moto Mod connector and inking deals with companies like JBL, Motorola is admitting that we can't always have everything we want in one single device. The beauty of Motorola's design, though, means the things we add to the Moto Z feel like seamless parts of the device itself. It's still early days for the Moto Mods program, and the only way to ensure it goes anywhere is to buy this stuff. Hopefully, enough people invest in this new ecosystem of hardware to keep it alive. It would be a shame to see such an elegant solution flounder. Motorola is well known for releasing smartphones that run very clean, almost stock versions of Android... unless those smartphones are Verizon exclusives like these. The broad strokes of Android 6.0.1 Marshmallow are still there, and for the most part, Motorola seemed happy to leave well enough alone; the most notable visual tweak is a dark theme applied to the familiar Marshmallow menus and app launcher. Still, Verizon's influence is undeniable. There's a separate-but-optional setup process to get started with Verizon's cloud upon first boot, and lots of preloaded software I never touched. I'm talking VZ Navigator, VZ Protect, Message+, Caller Name ID and a cloud app, not to mention NFL Mobile, Slacker, Audible and a ton of derivative games. You can delete some of them, but the rest need to be disabled in the settings and I couldn't do this fast enough. Curiously, the Motorola-made apps that used to come preloaded on the company's Verizon-bound phones aren't here anymore. If you want Loop and Zap (which let you keep tabs on loved ones and share content with people nearby, respectively), you'll have to get them from the Play Store. I love it when companies stop trying to force apps of dubious value on us -- HTC recently did this too -- but Verizon pushed enough bloatware that Motorola's cleanliness almost went unnoticed. 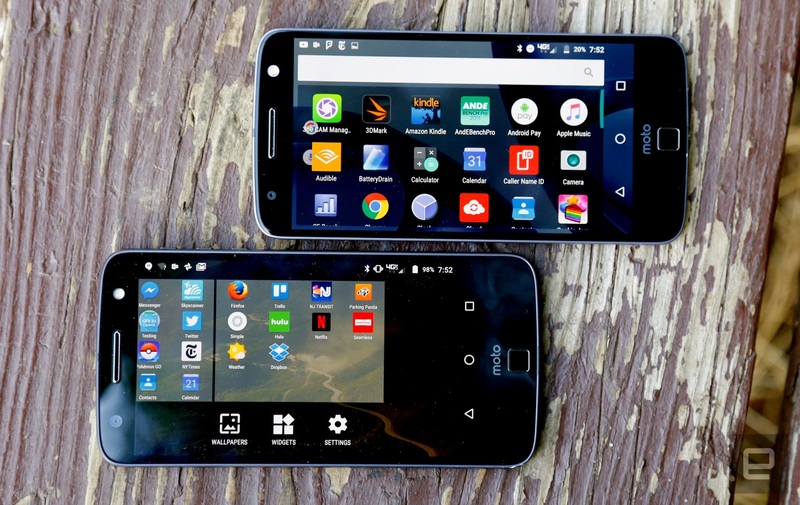 On the plus side, Motorola's thoughtful software tricks are all still here. The sensors on the Z's face can still detect your hands as they approach, and they'll light up part of the display to show you the time and your notifications. Like before, you can double-twist your wrist to launch the camera, and a double karate chop turns on the flashlight. As it happens, Motorola added a new gesture this year: If you swipe up from the bottom of the display, the on-screen view will shrink so you can reach the notification shade without having to reposition your hand. The Moto Z siblings are great at listening for your voice commands, too. Once you've trained them to listen to your activation phrase (mine is the dull "OK, Moto Z"), the phones will wake up and take requests like a proper assistant. That might not sound like a high bar to clear -- after all, virtual assistants have come a long way since the earliest days of Siri and Google Now -- but Motorola was one of the first companies to go big on phones that always listened, and they're still very good at making them. We can keep this part simple: The Moto Z and Z Force are damned fast. Is that really any surprise? Both run with the same high-end Snapdragon silicon as most other flagship Android phones I've played with this year, and they've all been really fast too. As always, my week of testing included all the usual, frenzied multitasking for work, along with loads of Real Racing 3, Mortal Kombat X, Hearthstone and Pokémon Go when the news died down. Try as I might -- and trust me, I tried -- the Moto Z and Z Force handled all of my trials with gusto. (They do get noticeably warm when you starting to push them, though.) Ultimately, now that premium smartphones like the Moto Z and its ilk all fall into the same performance range, the details that make these devices different are more important than ever. Consider batteries, for instance. Thanks to its slim body, Motorola fitted the Moto Z with a 2,600mAh cell. Not bad, but definitely not great. I'll admit, even though I've used smartphones with similar specs and battery sizes before, I went into this review expecting the worst. Thankfully, that was unwarranted. On days of heavy use, the Z would get me through the work day but give up the ghost not long after. That works out to about 11 hours of pretty continuous use, though you can stretch that up to about a day and a half if you're a very, very cautious user. In our standard Engadget rundown test (looping a video with the screen brightness set to 50 percent and WiFi connected), the Moto Z lasted about just north of 10 hours. That's on par with the LG G5 and HTC 10. This means the Moto Z's battery will probably cut it for most people, but anyone on the fence should consider the next step up. As you'd expect, the Moto Z Force blew its skinny sibling out of the water. I routinely got two full days of use out of its larger 3,500mAh battery, and got closer to three days over a particularly quiet weekend. Not bad at all. And in our rundown test, the Z Force looped the same sample video for 14 hours and 12 minutes, just 18 minutes less than Samsung's Galaxy S7 Edge. I probably sound like a broken record saying this, but there's really never been a better time to buy a top-tier Android phone. While some are better suited to certain situations than others, there really isn't a bad choice among them. Samsung's Galaxy S7 and S7 Edge are waterproof and still lead the pack in camera performance, though you'll have to deal with the (much improved!) TouchWiz interface that's layered on top of Android Marshmallow. The HTC 10's fit and finish is first-rate, and it handles media better out of the box: It'll tune your music for your preferences and headphones, for one, and it's the first Android phone to officially support Apple's AirPlay streaming standard. Meanwhile, if you're shopping for flagship power on a budget, the reasonably priced OnePlus 3 brings the speed for a fraction of what the Moto Z and Z Force cost. But if we're looking at the Moto Z and Z Force as modular phones, first and foremost, the only real comparison this year is LG's G5. The broad strokes are similar -- Snapdragon 820, 4GB of RAM, a circle of "Friend" accessories -- but the Moto Z's elegant execution gives those two phones a clear edge. Just look at LG's setup: modules connect to the bottom of the G5, requiring you to remove the phone's battery, attach it to the new module, stick that whole thing back into the phone and power it up. At best, it's an annoyance. On the plus side, though, you'll be able to swap batteries willy-nilly, and you have a really neat dual-camera setup to play with. I have to give Motorola credit for doing what LG couldn't: building modular smartphones that are convenient, cool and worth using. 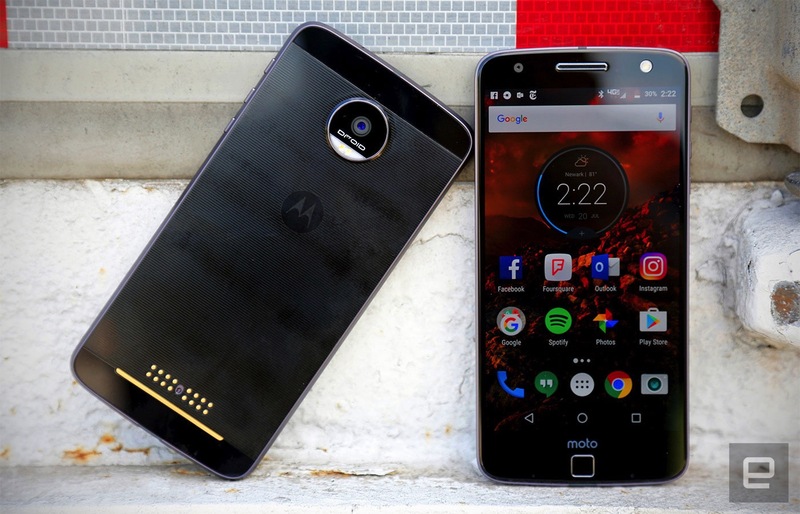 It doesn't hurt, either, that the Moto Z and Z Force are two of the best-made devices in Motorola's history, and that they can go toe-to-toe with any other flagship Android phone out there. These devices represent Motorola at the top of its phone-making game. It's a shame, then, that some curious decisions have kept me from loving the Z and Z Force more fully. Part of it is the lack of a headphone jack. Maybe I'm old-school, but I can't be the only one who misses it. Part of it, too, is that some of the Mods are of dubious value. Worse, only a certain chunk of people -- Verizon customers -- can buy these phones. Ultimately, though, the strength of the Moto Z line and the potential of Moto Mods outweigh the few cons. If you're a Verizon customer on the hunt for a powerful smartphone, pay attention to these two. (And if you're a klutz, pay closer attention to the Z Force.) The rest of us will just have to hang in there -- Motorola can't let phones this good stay exclusive for too long.